Nothing brings you into a fairytale more than a medieval fortress. I’ve always wanted to explore the chateaus in France. Not only for their obvious beauty but because they are so well maintained and intact. They really do bring you back in time, to a time romance, armored knights and wielding swords. From French medieval forms with Renaissance structures to ancient strongholds, here are 9 totally magical Chateaus in France. 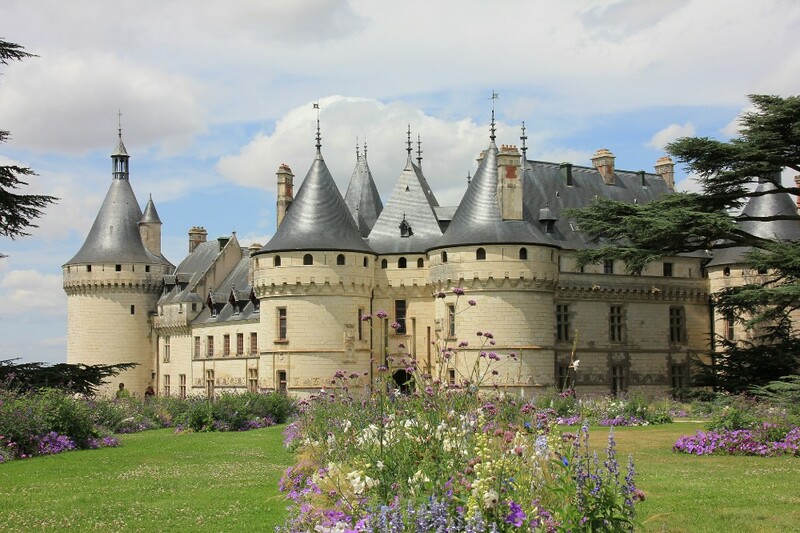 If exploring these magical chateaus in France is high on your bucket list then you may want to take note that you can easily reach France from the UK by Ferry and make a weekend of these magical fortresses. Likely one of the most recognizable chateaus in the world, the royal Chateau de Chambord at Chambord, Loir-et-Cher, France, blends traditional French medieval forms with classical Renaissance structures. It is the largest chateau in the Loire Valley and actually built as a hunting lodge. Talk about your man cave. The Chateau de Chenonceau spans the River Cher, near the village of Chenonceaux. It’s a popular tourist attraction in the Loire Valley, dating back to the 11th century. The existing structures dating back to the 16th century. I can only imagine the legends and tales which were told in its halls. The Chateau de Villandry is located in Villandry and is considered a country house. Not quite the house Red Riding Hood would be skipping off to, but certainly full of its share of tall tales. It dates back to the 14th century. Looking for more magical places to daydream about? Check out these castles! The Château d’Ussé sits at the edge of the Chinon forest overlooking the Indre Valley. Fantastically perched, it was originally built in the 11th century and was later rebuilt in stone. This incredible baroque French chateau sits in Maincy, near Melun just a short drive from Paris. It dates back to the 17th century and marks the beginning of the “Louis XIV style”. This is a time when famous fairy tale author, Charles Perrault would was inking his famous fairy tales like; Cinderella, The Sleeping Beauty and Little Red Riding Hood. Another famous fortress in the Loire Valley is the Chateau de Chaumont in Chaumont-sur-Loire, Loir-et-Cher, France. This remarkable castle dates back to the 10th century! It was later rebuilt in the 15th century. Age old tales of knights in shining armor and unrequited love, I can only imagine the secrets which are held within its medieval stones. The royal Chateau at Amboise is another Loire Valley marvel in Amboise. Once the royal residence of King Charles VIII who actually died at the château in 1498 after hitting his head on a door lintel. It doesn’t get more fairytale-like than a castle on an island in a river. Built in the 16th century, this chateau is thought of as one of the foremost examples of early French renaissance architecture. It’s a very popular sight in the Loire Valley for obvious reasons. Another Loire Valley marvel, the Chateau de Cheverny dates back to the 17th century. Fun fact, it was donated by King Henri II to his mistress Diane de Poitiers. She actually didn’t like it as much as the Chateau de Chenonceau and sold it to the former owner’s son. Talk about your 17th century diva! Many films, books and TV shows are written on account of true stories and tales which come from the chambers, halls, tunnels and towers of these incredible Chateaus in France. And not just the castles but the forests and hills around them. So, not only are they a marvel to see, but they are truly a catalyst for much of our pop culture. And that, tied in with their historic accounts, makes them absolutely magical. Where can I look up tours of these castles? Most of them are open to the public and managed by the government. You can just search the name of the castle and all the tour information is right there on google!